The Lula Washington Dance Theatre is a Los Angeles-based repertoire dance ensemble that performs innovative and provocative choreography by Lula Washington. The company tours internationally and has been received with acclaim and admiration by steadfastly focusing on using dance to explore social and humanitarian issues. Lula Washington’s choreography mixes athleticism, performance art, acting, jazz, ballet and street dance styles to reflect the African-American experience, culture and history. The company is composed of well-trained athletic dancers, many from the inner city of Los Angeles. These dancers bring passion, charisma and interpretive power to every performance. The Lula Washington Dance Theatre was founded in 1980 by Lula and Erwin Washington in the inner city area of South Los Angeles. Since then the company has risen to become one of the most admired African-American contemporary dance companies in the West–known for powerful, high-energy dancing, unique choreography, and exceptional educational residences. Lula Washington attracted the attention of director James Cameron who hired Lula to choreograph the hit movie Avatar. She also choreographed Disney's The Little Mermaid. The Lula Washington Dance Theatre has toured more than 100 U.S. cities from big to small including the Kennedy Center; Jacob's Pillow; the Ordway Theater in Minneapolis; the Joyce Theater in New York; and the Lincoln Center Out of Doors. The company danced in Kosovo in 2008; Guadalajara in 2009; Russia (18 cities) in 2010; China (12 cities) in 2011; and also Brazil in 2011. The company has been invited back to do 12 more cities in Russia in Spring 2012. "Innovative dance company performs at Merced Theatre"
"World Class Dance Coming to Merced Theatre"
"Campus Brings Urban Dance Troupe to Merced Theatre"
Washington grew up in the Nickerson Gardens Housing Projects in Watts. She was inspired to dance after her junior college dance teacher took her to see the Alvin Ailey dance company. Initially rejected by the UCLA dance program for being too old, at age 22, to start dance training, Washington appealed that decision, was admitted, and went on to become one of UCLA’s most successful dance graduates. While still a student, she danced in the Academy Awards telecast and in the films "Funny Lady" with Barbra Streisand, "Sgt. Pepper" with the Bee Gees and "King Kong." Washington also provided choreography for the movie "The Little Mermaid." She worked with director James Cameron to provide choreography and movement for his film "Avatar." Washington maintains a community-based dance school in South Los Angeles that offers professional dance training for inner-city youth. Washington was honored for her community work with the Minerva Award, given by California First Lady Maria Shriver. Other awards include the Spelman College National Alumni Association’s Sisters Award, the National Education Association’s Carter G. Woodson Memorial Award, the LA Women’s Theater Festival’s Integrity Award, 2010 Accolades Award and the Ann C. Rosenfield Distinguished Community Partnership Prize for bringing dance to 3,500 school children annually through UCLA’s “Design for Sharing” Program. Washington has also received the 2011 Community Icon Award from the Los Angeles African American Women Political Action Committee, the 2011 National Dance Association Heritage Award and the 2011 Artistic Vision Award from The Black Business Association. Washington-Miller is director of programs for the Lula Washington Dance School, the Dance Company and Community Outreach. She oversees the Lula Washington Dance Theatre’s Youth Dance Ensemble, its Summer Intensive and its Company Training Group. Washington-Miller often collaborates with her husband, composer and musician Marcus L. Miller to create dance/music collaborations. Washington-Miller’s movement style is an organic blend of traditional modern and jazz dance, with hip-hop and vernacular flavors and the traditional dances of the African Diaspora. She was nominated by the 2008 NAACP Local Theater Awards committee for best choreography on "Gilgamesh," directed by Stephen Sachs and Jessica Kubzansky at the Boston Court Theatre. She choreographed "Hippolytos,: also directed by Stephen Sachs, as the inaugural production at the Barbara and Lawrence Fleischman Theater at the Getty Villa in Malibu. She assisted Lula Washington in staging and choreography for James Cameron’s film "Avatar" and played the body double for CCH Pounder who played Mo’at the Na’vi Queen Mother. Tamica choreographed episodes of "Cuttin’ Da Mustard," starring Keisha Knight Pulliam, "Moesha," "The Parkers" and "The Steve Harvey Show." McKayle has created some of the most memorable choreography in modern dance, including "Rainbow Round My Shoulder," "Games," "Songs of the Disinherited" and "Blood Memories." McKayle is the artistic director of dance at the University of California, Irvine, where he continues to teach and direct its Rainbow Etude Ensemble while traveling the world setting choreography for dance companies and theatrical productions. On Broadway, McKayle directed "Raisin," "Sophisticated Ladies" and other works. He has choreographed the Academy Awards, the Emmy Awards, the original musical version of "Golden Boy," "Minstrel Man" and "The Cosby Show." His concert dance work is performed by the Alvin Ailey American Dance Theater, the José Limón Dance Company, Israel‘s Batsheva Dance Company, Ballet San José, Cleo Parker Robinson Dance Theater, Dayton Contemporary Dance Company, Dallas Black Dance Theatre, Chuck Davis’ African American Dance Ensemble, Philadanco and other companies around the world. McKayle has set a half-dozen works on the Lula Washington Dance Theatre and serves as an advisor to the dance theatre's board and to Lula Washington. 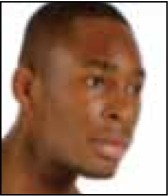 Huggins is a former member of the Alvin Ailey American Dance Theater. Originally from Boston, Huggins trained under Andrea Herbert Major, Danny Sloan and Martha Gray. 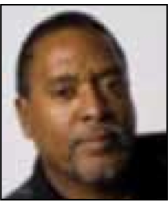 He attended the State University of New York at Purchase, The Julliard School and was a fellow at The Ailey School. Huggins has worked as a guest artist, master teacher and choreographer for dance companies throughout the United States, Europe, Japan and Korea. He has taught countless master classes and workshops at universities and dance institutions including Howard University, Spelman College andUniversity of the Arts in Philadelphia. Huggins has created ballets for the Alvin Ailey American Dance Theatre, Dallas Black Dance Theatre, Ailey II, Philadanco, Cleo Parker Robinson Dance, Broadway Dance Center of Tokyo, Oslo Dance Ensemble in Oslo, Norway; and many others. 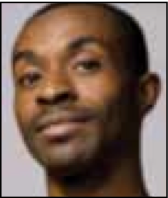 He is a 2002 and 2008 recipient of the Ira Aldridge Award for Best Choreography from the Black Theatre Alliance in Chicago for his work "Enemy Behind the Gates" and "Pyrokinesis." He also worked on several projects for Disney in Orlando, Florida. Huggins is a silver medalist from the Seoul International Contemporary Dance Competition, resident choreographer at Duke Ellington High School for the Arts in Washington, D.C., and Artist-in-Residence for The Ailey School. In 2009, Huggins choreographed the 50th anniversary opening night gala for the Alvin Ailey American Dance Theater. Huggins is a faculty member at The Ailey School. He has created three ballets for Lula Washington Dance Theatre: “Joy Joy” (1988, his first ballet ever); “On The Edge (2005); and “Love Is …” (2010). 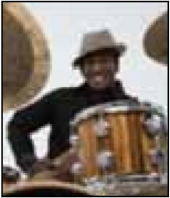 Miller is a composer, drummer, band leader and drum workshop instructor for youth. A resident of Redlands, CA, Marcus is originally from Chesapeake, Virginia. He has worked with the Skirball Cultural Center, the Los Angeles County Museum of Art, the Los Angeles public libraries, William Grant Still Art Center, and St. Elmo’s Village. He is Founder and organizer of Rhythm & Rhyme-N-Motion, an annual summer showcase featuring poetry, dance, and music. Marcus serves as president of Universe Soul Records and has produced several albums for BoujouBumBastick, the Jazz Poetry Collective, Da Lion, and his own ensemble Freedom Jazz Movement. He has worked as a drummer with choreographers Cleo Parker-Robinson, Winifred Harris, Bonnie Homesy and Toni Pierce. He has composed musical pieces for choreographers Lula Washington and Tamica Washington-Miller. Miller has performed with such musical acts as Ashanti, Sheila E., Bennie Maupin, Ben Harper and the legendary Watts Prophets. He recorded with BoujouBumBastick, Bobby Bryant’s Jazz Poetry Collective, Leon Mobley & Da Lion, Liquid, Rembrandt James and Idiot’s Delight. He toured recently with Ziggy Marley. Miller has recorded 11 albums and written more than 100 songs, but nevertheless finds time to conduct drum workshops for youth in libraries, schools and community settings across Southern California. 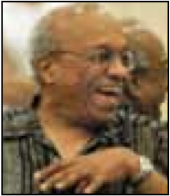 Washington co-founded the Lula Washington Dance Theatre in 1980 with his wife, Lula Washington. Under his managerial leadership, the company has become one of the leading African-American dance institutions. Washington holds an associate of arts in journalism from Los Angeles City College and a bachelor of arts in English/creative writing and a master’s degree in screenplay writing, both from UCLA. A number of his scripts have been produced on network television and on stage. Washington has secured millions of dollars in grants for the dance theatre, including the $2 million needed to purchase and renovate its studio. He has served on grant panels for the Western States Arts Federation, the California Arts Council, the National Endowment for the Arts, the L.A. City Cultural Affairs Department, the California Community Foundation, and the L. A. County Music and Performing Arts Commission. He served on the Mayor’s Task Force for the Arts under L.A. Mayor James Hahn. He has served on the Board of Directors for the Western Arts Alliance and the Los Angeles Dance Resource. Battle began his dance training at Detroit School of the Arts at 14, under the guidance of instructors Mayowa Lisa Reynolds and Nicole Burrell. Battle has received scholarships from the Blue Lake Fine Arts Camp/Foreign Exchange Program, Urban Ballet Theater, Dance Theatre of Harlem and the American Dance Festival Summer Intensive. He has studied under Jefferson Baum, Penny Godboldo, Ray Mercer, Roger C. Jeffrey, Daniel Catanach and many others. 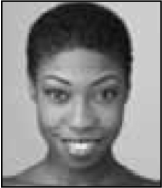 Battle joined the Lula Washington Dance Theatre as an apprentice at 18 in 2008 and became a company member and Lula Washington’s assistant in 2009. Brown hails from Los Angeles, where he began his dance training at the Lula Washington Dance Theater School. He earned his high school diploma from Idyllwild Arts Academy and his BFA in Dance from State University of New York at Purchase. Brown has also danced with Shapiro and Smith Dance Company, Doug Elkins Dance Company, bopi's black sheep/dances by kraig patterson and Louis Johnson Dance Theater Ensemble. He is a founding dancer of TU Dance where he was also rehearsal assistant for five seasons. Brown has been seen on the Daytime Emmy’s, Penumbra Theater’s “Black Nativity,” Donald Byrd’s “Harlem Nutcracker,”Tim Allen’s “Crazy On The Outside” and “ANYTOWN,” a dance-musical to the music of Bruce Springsteen. He taught dance at New York University Tisch School of the Arts, University of Minnesota Twin Cities, and University of Missouri St. Louis. 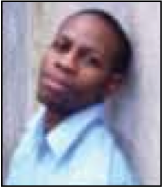 Bernard has choreographed dance works at SUNY Purchase. He choreographed "Treemonisha" for North Star Opera, and he directed and choreographed "Love Songs" a musical that premiered in Brooklyn, NY. 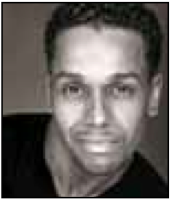 Bernard joined dance theatre in 1997. Clancy, a native of Pittsburgh, studied dance at The Pittsburgh High School for the Creative and Performing Arts, Civic Light Opera of Musical Theatre, Pittsburgh Ballet Theater and Dance Alloy as a scholarship recipient. She is a graduate of Wright State University holding a bachelor of fine arts in liberal arts and has performed with X-pressions Dance Company and The Dayton Contemporary Dance Company (DCDC I & II), and in Don Arden’s Jubilee. She made her debut with Lula Washington Dance Theatre in 2007. Clancy co-directed the Youth Ensemble at Jeraldyne’s School of the Dance in Dayton, Ohio. 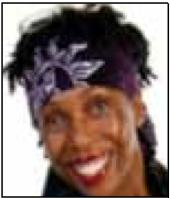 She has taught at Omega Baptist Church; DCDC I & II, Wright State University, Smag Dance Collective, the Ohio Dance Festival, South Dayton Dance Theater and at The Rock Center for Dance. She is a 2004 recipient of the MCACD Individual Artist Fellowship, the 2005 OAC Choreography Fellowship and the 2007 Josie Award. Douglass received her dance training from Dance Theatre of Harlem, the Baltimore School for the Arts and The Ailey School, where she was a fellowship student. Douglass danced with the Lula Washington Dance Theatre and was a member of Ailey II. 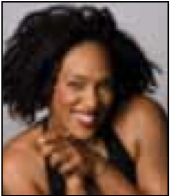 She joined the Alvin Ailey American Dance Theatre in 2005. She remained with the Ailey company for six years. She next joined the cast of Lion King in Las Vegas. Khilea has always wanted to become an actress so she relocated to Los Angeles to pursue her acting career. She re-joined the Lula Washington Dance Theatre in 2012 because of the dramatic opportunities available within the dance theatre's repertory. Fishburne began his training at the Dance Theatre of Harlem School and continued on to study Musical Theatre at the University at Buffalo. Afterwards, he received a fellowship to the Ailey School. There, Christopher performed in works by Jackie Buglisi, Troy Powell, Abdur Jackson, Sean Curran and Katherine Dunham. He worked with Opus Dance Theatre, directed by James "Buster" Grant. He also worked with Alma Ballet, Albano Ballet, Staten Island Ballet, Dzul Dance Company and The Nanette Bearden Dance Theatre. He moved to Los Angeles and began performing with Lula Washington Dance Theatre in 2011. Moch began his formal dance training at Lula Washington Dance Theater as a pre-teen. He has since trained at the Hamilton Academy of Music under Karen McDonald and Latrece Douglas and at the Ailey School in New York. His performance credits include Dance Theatre of Harlem’s Firebird, Zarbie and the Martians, and James Cameron’s film "Avatar." In addition to dance, Micah is a musician, composer and budding choreographer. He is working on his bachelor's degree in theatre arts with an emphasis in dance performance at Northern Illinois University. Micah joined the dance theatre in 2006.